SAN JOSE — The Japanese American Museum of San Jose’s official launch of “San Jose Japantown: A Journey” will be held on Saturday, Nov. 29, at 1 p.m. at the San Jose Buddhist Church Betsuin, 650 N. 5th St. (near Jackson). Fifteen years in the making, this definitive book includes more than 400 full-color pages of research, personal anecdotes taken from more than 120 interviews, and more than 500 photos. The authors share the unique and colorful history of San Jose Japantown from the 1880s through 2010. For this important debut, JAMsj is proud to have NBC Bay Area’s Mike Inouye as emcee and Judge Paul Bernal, official historian for San Jose, as guest speaker. The authors, Curt Fukuda and Ralph Pearce, will be available to talk about the extensive process of bringing this book to completion and to sign copies of the book. The book will be available for purchase at the event. If you have not ordered a copy, you can go to www.JAMsj.org, fill out the order form, and mail it in. A copy of the book is now on display at the JAMsj store. 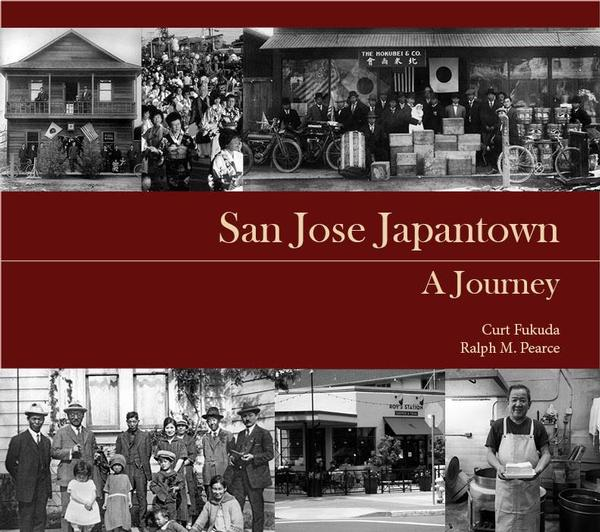 Stop by and feel free to peruse the stories and photos that define San Jose Japantown’s rich history. This is a community event, so bring your family and friends to enjoy reminiscing about San Jose’s Japanese American heritage while enjoying refreshments. In conjunction with this event, JAMsj will have a special exhibit highlighting moments in history covered in the book. Free admission. To RSVP, email [email protected] or call (408) 294-3138.